You have an excellent staff. They are great to work with. Milwaukee Plating has both alkaline cyanide copper plating and bright acid copper plating capabilities. Copper plating is often the first layer beneath other plated finishes, but it can also be a final coating used for appearance, solderability and the ability to act as a heat treatment stopoff. 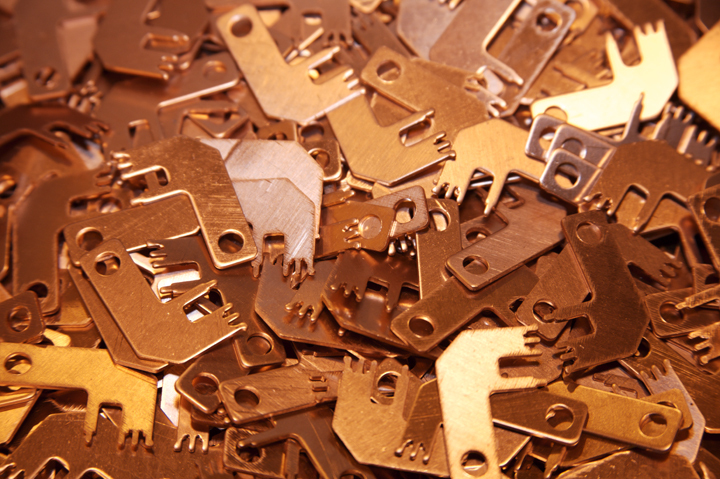 Alkaline cyanide copper is generally the first process when finishing zinc die castings. Silver, tin, nickel, nickel/chrome, or zinc plating on certain basis metals may also require an underlying cyanide copper layer due to customer specifications designed to increase adhesion of the final deposit and/or the corrosion resistance of the overall coating. Bright acid copper plating is used for additional corrosion resistance and finish improvement due to its brilliance and ability to level out some imperfections.